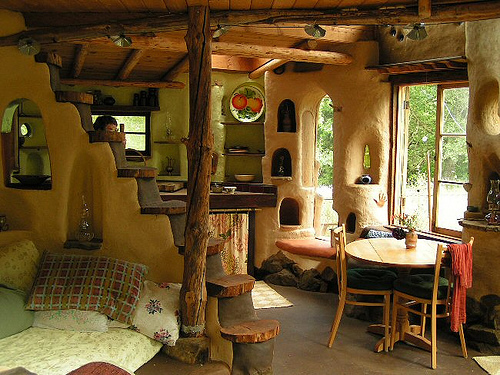 This entry was posted in Houses and tagged Cob, House, Interior, natural building by Julia. Bookmark the permalink. I had the opportunity to see this lovely little cob cottage. Very creative. One of the things I liked was in the kitchen, just above the counter, there is a little wood door and when you open it there is a pvc pipe at a slant built into the cob that you can put your compost material in and it goes to a bucket outside. Very cool idea and no more flies!